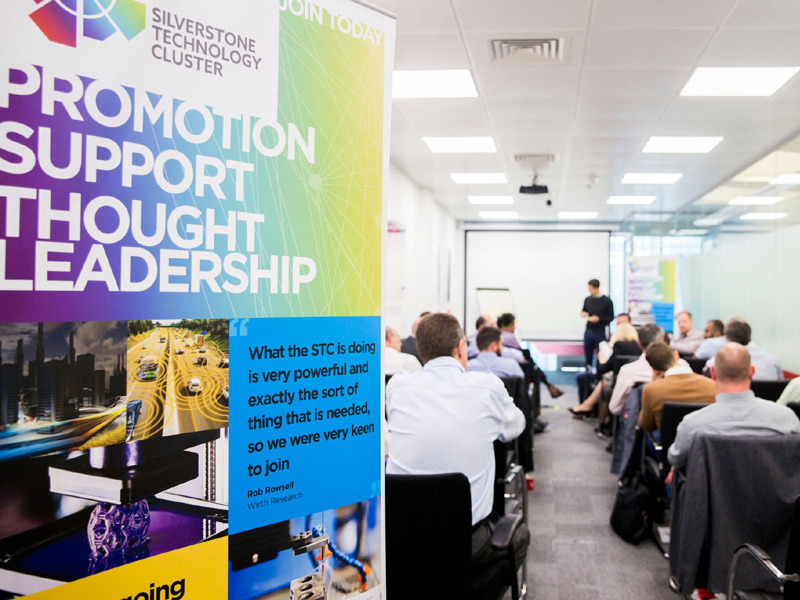 On Thursday October 11th, industry representatives from around the UK gathered at Silverstone Park for the inaugural Digital and Advanced Manufacturing (DAM) Special Interest Group meeting. The morning event sought to demystify digital and advanced manufacturing, and as such provides overviews on the Industrial Internet of Things, Inkjet & 3D printing, advanced materials as well as digital manufacturing itself. Dan Brookes of the Knowledge Transfer Network gave the first presentation, focussing on digital and advanced manufacturing, to provide a background for the following presentations. Bradley McEwan of Beckhoff, provided an overview of the Industrial Internet of things, including highlighting a few case studies. 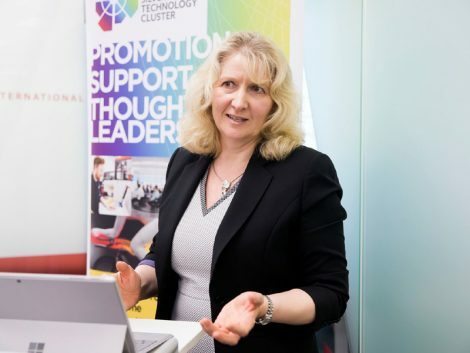 Debbie Thorp of Global Inkjet Systems then wowed the audience with a high-level overview of inkjet printing applications, which highlighted a lot of techniques and technologies that are set to revolutionise manufacturing. Voxeljet’s James Reeves followed this up with a fascinating presentation on 3D printing and the various techniques involved. Kieron Salter of KWSP the took to the stage to talk about manufacturing involving advanced material and bringing an element of out-of-the-box thinking, setting the scene for an interesting open forum, where various issues were raised for inclusion in future events.